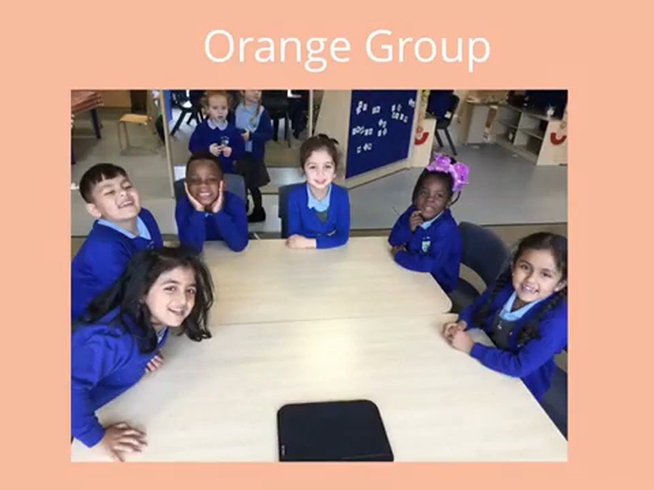 As part of our Computing lessons we have been learning how to use different apps on the iPads. 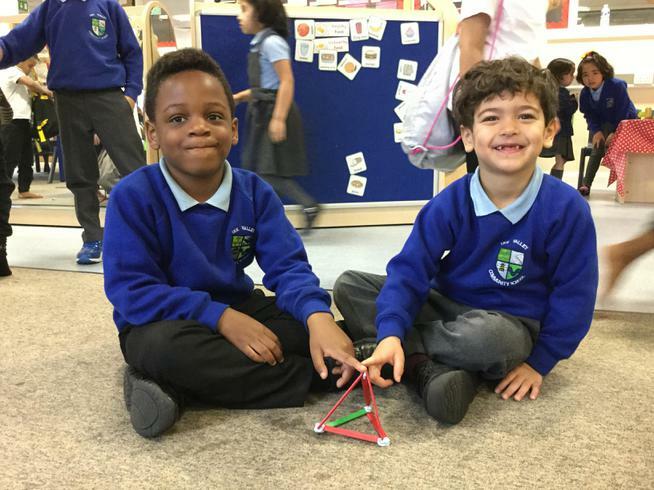 We designed and edited our very own page in our class e-book - take a look! 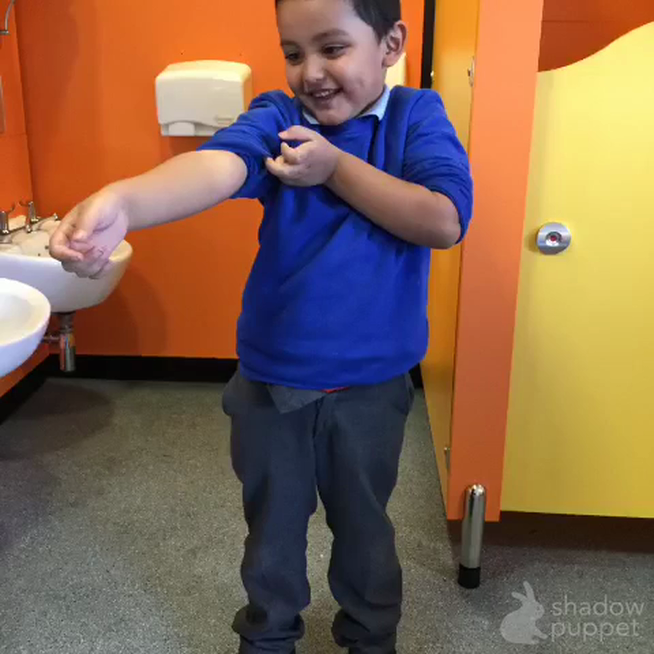 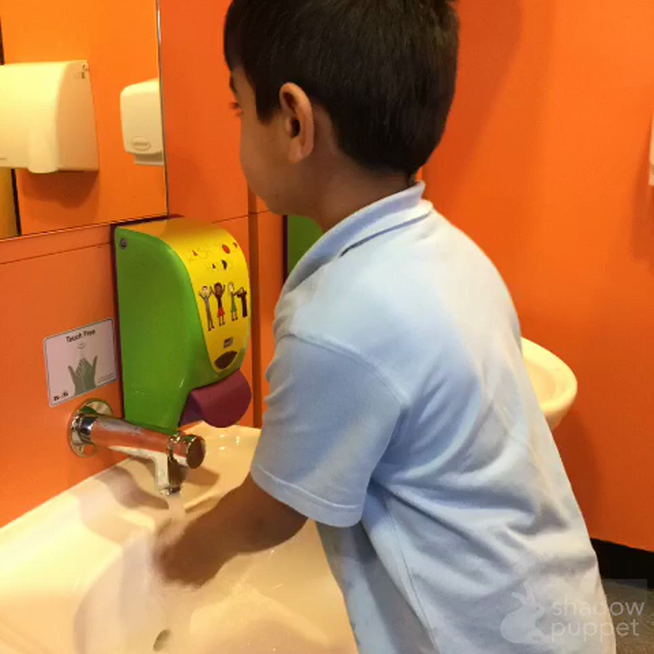 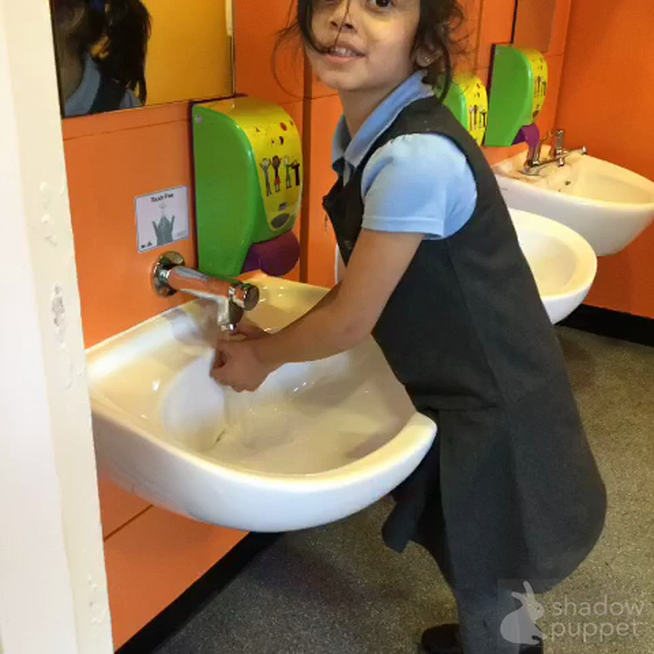 Here are some videos that combine our computing skills with our learning about hygiene and how to wash your hands thoroughly. 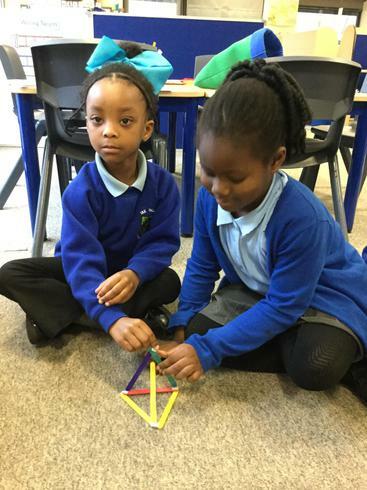 Here are some pictures of some of us learning about 3D shapes. 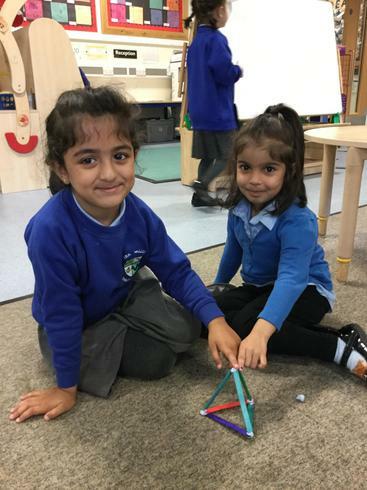 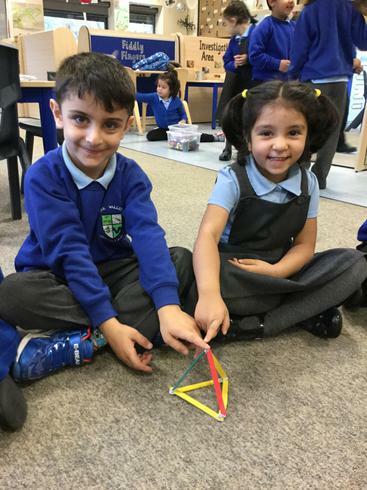 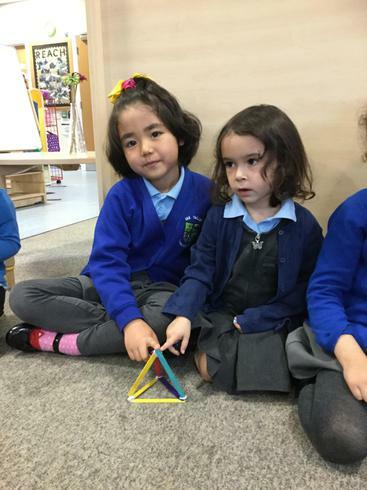 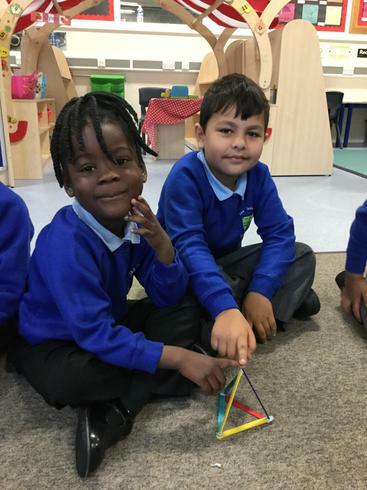 We learnt about a square-based pyramid, looked at the shape of its faces and counted how many corners and edges it has. 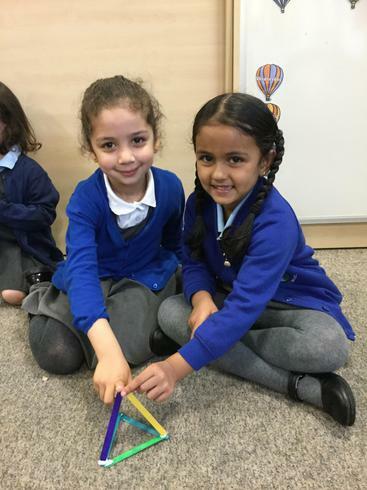 We then used lollysticks and blu-tack to create our own.